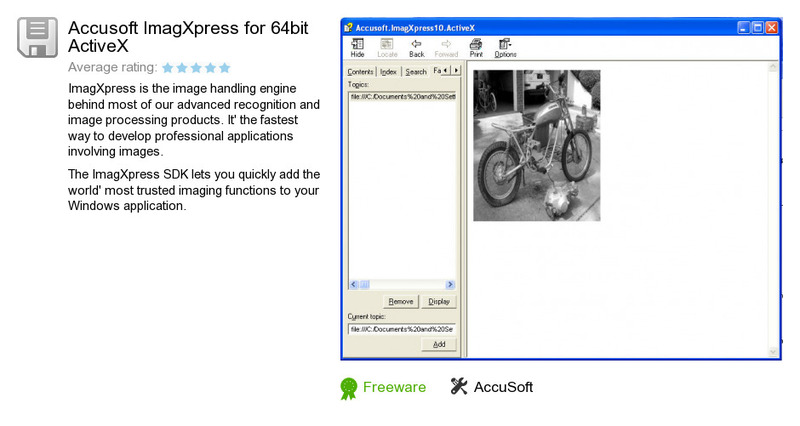 Accusoft ImagXpress for 64bit ActiveX is an application developed by AccuSoft. We know of version 10.0. Version 10.0.5 is available for free download at our site. Accusoft ImagXpress for 64bit ActiveX package has a size of 73,067,114 bytes. AccuSoft also publishes Accusoft ScanFix Xpress Demo and Accusoft Barcode Xpress for .NET.